Butler Engineering & Technology Group outfits facilities in Broomfield with kiT12+ and kiT-Sub+ and in Englewood with i218 arrays and CS218 subwoofers. 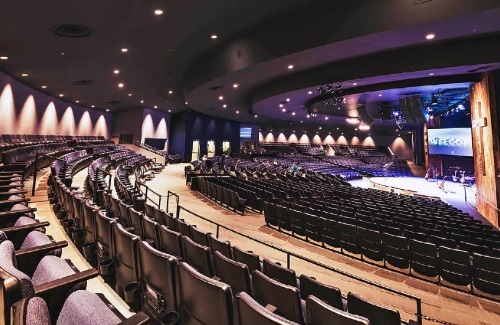 Brave Church, located in Englewood, Colorado, needed an impactful sound reinforcement system in their new Broomfield sanctuary that could keep up with contemporary services. The church leadership also decided to update the audio infrastructure at their main sanctuary in Englewood. With the new location outfitted for future-oriented growth, Brave Church reevaluated the state of its main Englewood sanctuary. Butler continues, “The audio systems were ten to twenty years old, and the sanctuary aesthetics had a traditional feel consistent with the church’s past, but not with its future. The audio system choice for upgrading the main sanctuary was Clair Brothers i218 line arrays and CS218 subwoofers to energize the church. 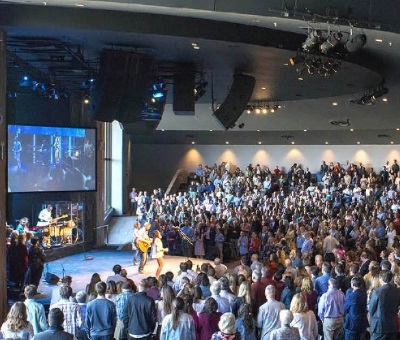 Like many churches, Brave Church has to contend with relatively low ceiling heights and needed a sound reinforcement solution that would deliver even coverage without compromising sight lines. Clair Brothers i218 line arrays fire from above three points of the stage for compelling stereo imaging throughout the seating area, with low-end support from Clair Brothers CS218 subwoofers, arrayed in a cardioid pattern to give low-end directionality. A Yamaha CL5 digital mixer gives church staff command of the system, with inputs from a host of new Shure ULX-D wireless microphone systems and connection to the stage from Yamaha RIOs. A smaller Yamaha QL1 digital mixer serves the church’s video and post-production needs, while a Digital Audio Labs LiveMix personal monitoring system gives the musicians on stage complete control over their individual mixes. A Lake LM44 DSP handles all of the loudspeaker processing and protection, and a rack of Lab.gruppen D-Series amplifiers power the system.